Rooms at Roseburn , have Egyptian cotton bed linen and quality towels, hairdryer, free wi-fi throughout and ample storage, large flat screen TV, tea and coffee making facilities with home-made shortbread. 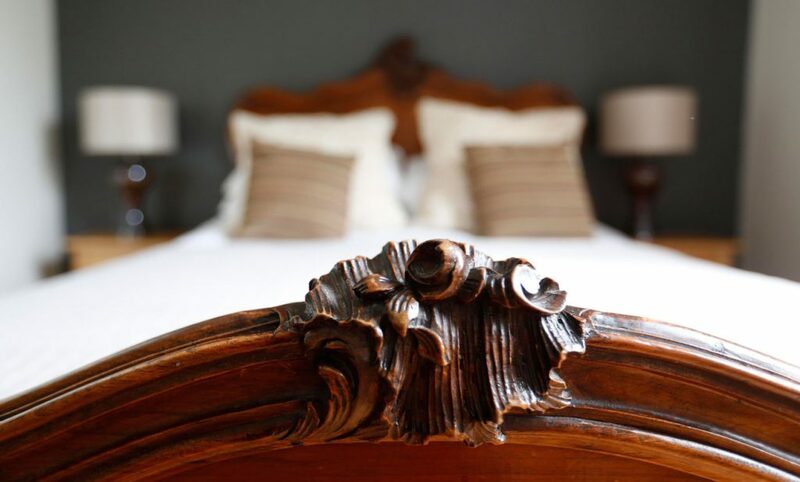 The Yew Room -a spacious king sized bed double room with en-suite facilities. This room can also accommodate an additional single bed if required. The Yew Room is to the front of the house with views down the valley and has a spacious en-suite bathroom with slipper bath and large walk-in shower. Comfortable easy chairs provide a cosy sitting area in the room and it benefits from double aspect natural light. 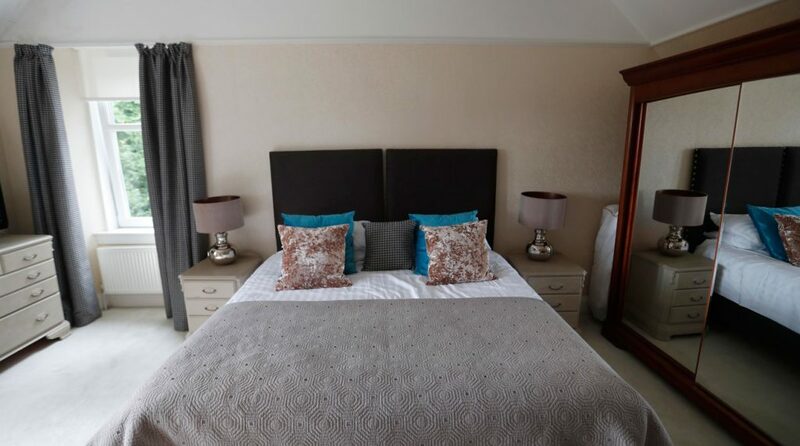 The Oak Room – a king sized bed double room with en-suite shower room.The Oak Room has pared down contemporary elegance and has a modern en-suite with large walk-in shower, oak flooring and easy chair. The Green Room – flexible accommodation which provides either a superking double bed or twin beds. 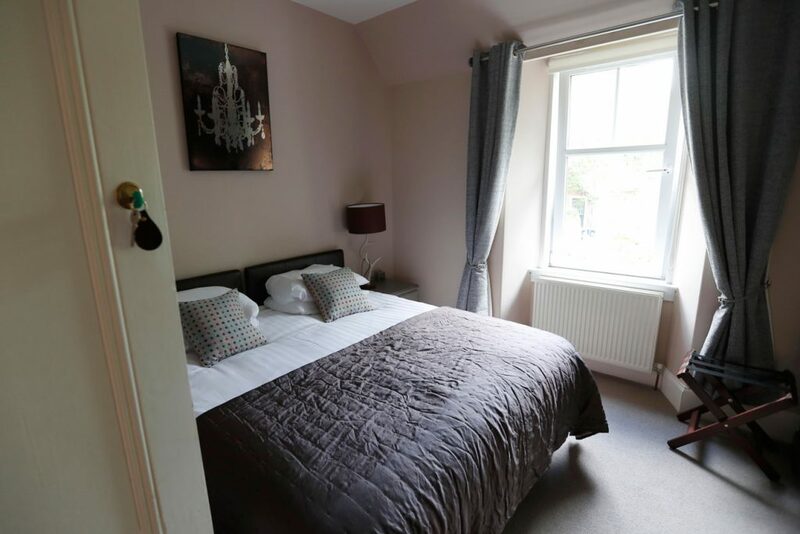 This room has its own private bathroom which is directly adjacent to the room but not en-suite .If you can cope with that ,then you’ll enjoy a spacious bathroom with full sized bath with shower over . Robes are provided for your convenience.